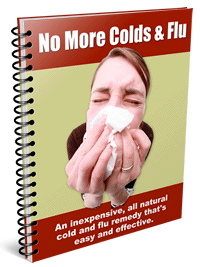 Tired of getting sick all of the time? Looking for natural health and wellness articles? Looking for real solutions instead of band-aid fixes? 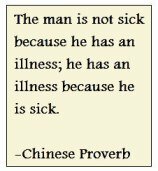 Take it from me - I haven't been sick in over 15 years - you can stay well. Your best possible physical condition isn't even all that difficult to achieve. And no, I don't live in a plastic bubble! What lies on the following pages are natural health and wellness articles to show you how to improve your health so that you'll stop getting sick. You'll only find simple, natural methods that are easy to implement. Good health is achieved through small changes - one step at a time. That is what I mean by approaching wellness. We all can improve, no matter where we are on our journey. If you think that healthy people are just lucky enough to avoid being exposed to the germs that make us sick, think again. The fact is that healthy people aren't just "lucky." They aren't "cleaner" than the rest of us. Healthy people all have something in common - a strong immune system. That's it. And it's easy to achieve. Ways to achieve better health and wellness ARE simpler than you think. Studies have shown again and again that healthy people do indeed have disease-causing organisms in their systems, even though they do not get ill. It's true. Those of us with strong immune system health do not need to avoid germs, because we know that our bodies are capable of destroying them before they make us sick. It's how the immune system is supposed to work. And with more and more strains of bacteria becoming resistant to antibiotics, a strong immune system is by far our best defense. In fact, battling germs actually does boost immune system health. Think about this analogy: If you want to make you muscles stronger, what do you do? You hit the gym and challenge those muscles, right? It's the same thing with your immune system. You can't strengthen the immune system when you live in a sterilized (read "Cloroxed") environment. Just like you can't strengthen your muscles by sitting on the couch all day. Without use - everything in the natural world weakens. But don't worry, I'm not going to tell you to start actively searching out germs. We need to go over how to GET that immune system boost FIRST, so you can be victorious over those germs when you do run into them. For the most convenience, I like to bounce around while watching television or listening to a podcast. That's why I highly recommend the bellicon rebounder. The bellicon provides a simple, inexpensive, and space saving way to get started with moderate exercise in the comfort of your home. And, the bellicon helps build strength and maintain bone density, benefits that normally only come from high impact exercise such as jogging and weight lifting. Your path to natural health is important. So if you're tired of feeling down, check out some of the natural health topics here that interest you, and let's get started Approaching Wellness one step at a time.